We were asked to visit the Simpson Performance Products manufacturing facility in Harbor City, California to see how they construct their custom UTV seats. This was a huge honor as Simpson is an iconic brand in the Motorsports industry; we couldn’t have been more excited about this visit. We met with Simpson’s Product Development Manager, Russ Somers, for the tour. Russ explained that at the Harbor City facility not only do they manufacture Simpson UTV seats but they design and manufacture the fire suits and crew uniforms that you’ll top NASCAR and NHRA drivers and teams wear. As we took the tour it was apparent that the team at this facility knew their stuff, they had one heck of an operation going and we were definitely impressed. Once we got back to the seat department it was neat to see the different stages from design to finish product. These seats are definitely top notch and we couldn’t be more excited to offer them to our customers. 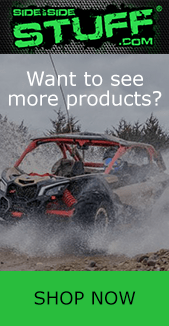 At Side By Side Stuff we offer Simpson Custom Seats for a variety of UTVs, including the Can-Am Maverick, Polaris RZR, Yamaha YXZ 1000R and Arctic Cat Wildcat. Customizing your own set has never been easier, you can choose your colors, material and vehicle application as well as add on some cool additional features, like an extra pocket, seat heaters and adjustable lumbar.